As a club we love a good relay and compete in a number of different events throughout the year. The majority of these are very social and in each case we encourage participation from all senior members. There is usually a drink somewhere afterwards! All but the Stevenage Relays are also part of the new Off-road Series. This race started life as a very low-key event for MKAC members only, but in recent years it has expanded and now a number of other local clubs enter teams, but it remains low-key and great fun. 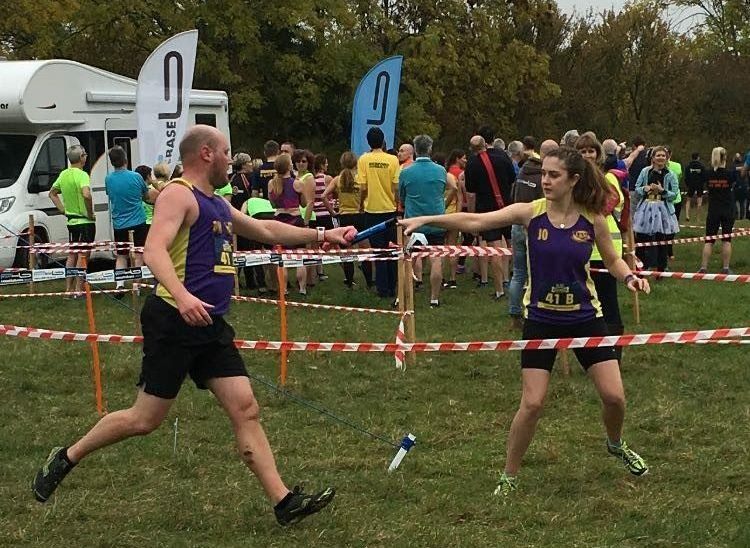 There are four multi-terrain legs which vary from 5.3 – 10.3 miles around the edge of Milton Keynes with a start and finish in Stony Stratford. All runners need to navigate themselves around their leg so it’s essential to reccie it before the day. Each team is required to have at least one female runner. This is possibly our most popular event of the year as we enter up to 5 teams in the event. It is a 6-stage off-road relay going from the Waterside Park near Tiddenfoot, across Bedfordshire to the village of Northill near Sandy. It is a very friendly event with 45 participating teams from many local clubs all organised by the South Midlands Orienteering Club which also host a website for it. The legs vary from 3.9 – 9 miles and teams compete for a number of different awards, including mixed and ladies team prizes, which are all presented in the pub at the end of the day. Like MK relay, runners need to know their routes as they are not marshaled. This is the biggest of the relays we take part in, with around 100 teams participating across the genders. The standard is hugely mixed with very high standard athletes running alongside relative newbies. 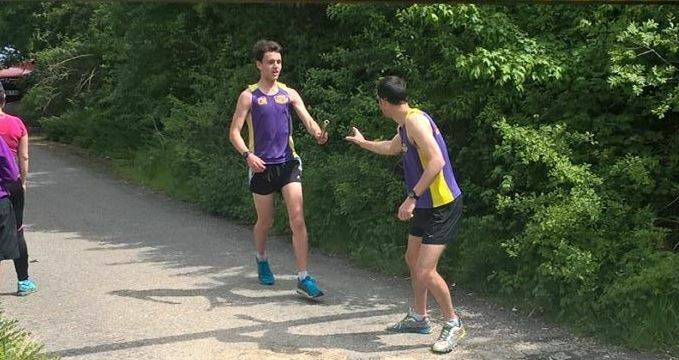 The men’s race consists of 5 runners, while the women’s race has 3 to a team and everyone does identical 3K laps of Fairlands Valley Park in Stevenage. A relatively new relay. Teams of 3 battle it around a roughly 5k lap of the Kensworth Quarry close to Dunstable Downs Visitors Centre. This event has grown very rapidly from 15 teams in 2012 to over 100 in 2015. It is a 3.5 mile cross-country loop run by teams of four. It is organised by Olney Runners and takes place on a farm in Clifton Reynes. The name of the run comes from the use of a dog’s toy bone as the baton, although in 2015 they even had chip timing!! As a club we are new to this, but a few of individuals have run it before.